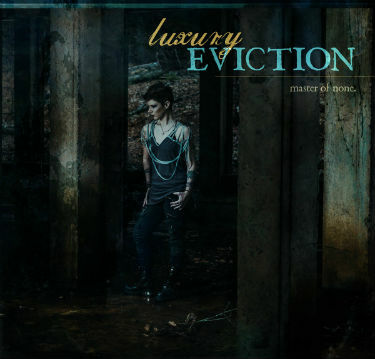 Though it was apparently “recorded using legendary audio equipment from Abbey Road and Capitol Records,” Luxury Eviction’s Master of None would have sounded great even recorded on 4-track in someone’s closet. Blair B’s vocals are just that powerful. Her songs could almost be described as avant garde, alternative, and ultimately more substantive versions of James Bond film theme songs like For Your Eyes Only and All Time High. The tracks on this album just have a very epic, symphonic feel to them, but with some edgier, brooding undertones. The songs are very meticulously put together and well crafted. Though they were recorded on top notch (analog?) gear, there isn’t a bunch of processing or post-production tinkering with the sound. It’s mostly left in its fresh and undisturbed form, accented with traditional reverb and delay. My favorite track on this album is probably Dragonflies in Hurricanes, which features some radically retro synths.